The simplest solutions are often best when it comes to separating the space in a small home. Most small homes don't have many internal walls for a very good reason—they can easily make it feel cluttered. They often don't have many windows and it's all too easy to block out natural light and make it feel pokey. But, no fear! We have lots of simple dividers and separating solutions that can work for a huge variety of small homes. 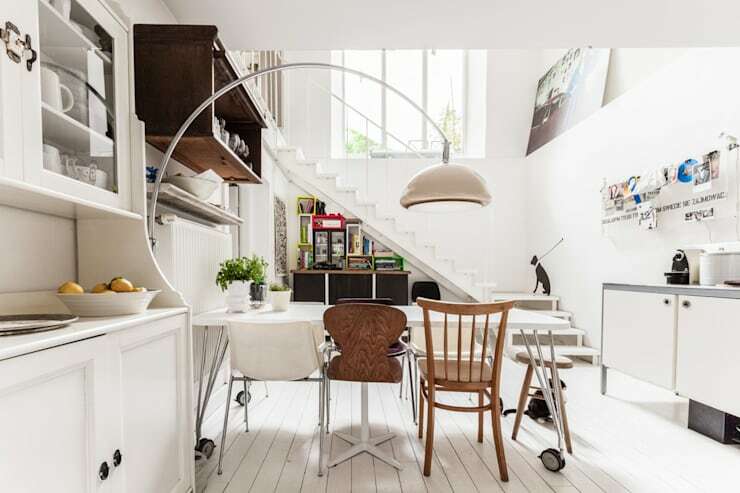 So, without further ado, welcome to 7 ways of separating the space in your small home. We bet there's something here to help! The back of the sofa in this small home has been used to separate the living room from the kitchen. Note how the suspending ceiling lights really accentuate the boundaries of the living room space. Sliding glass doors, dividing screens or separators are often a lovely way of separating spaces in a small home. 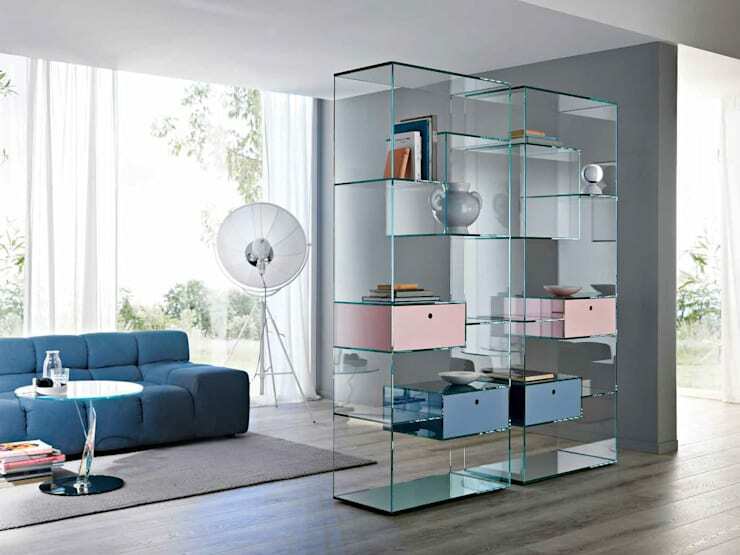 Dividers with lots of transparent glass will make a small room feel every bit as spacious. You don't always need to install a permanent solution though—some upcycled old windows would suffice if they were mounted on a stand or low bookcase. The wall on the right-hand side of this little bedroom is actually a closet. The chunky design and white paint helps it integrate beautifully into the rest of the decor. Bookcases are an old standby when it comes to creating zones or barriers within an open-plan layout. But they often block natural light flow. Consider a glass bookcase as an alternative. Floating timber panels create a strong psychological boundary around a space. They also add elegance to this decor and accentuate the height of a room. Big feature lights are undoubtedly one of the simplest ways to separate the spaces in a small home. They can add a big wow factor without taking up very much space at all. Just check out this great floor lamp in this dining room for inspiration. 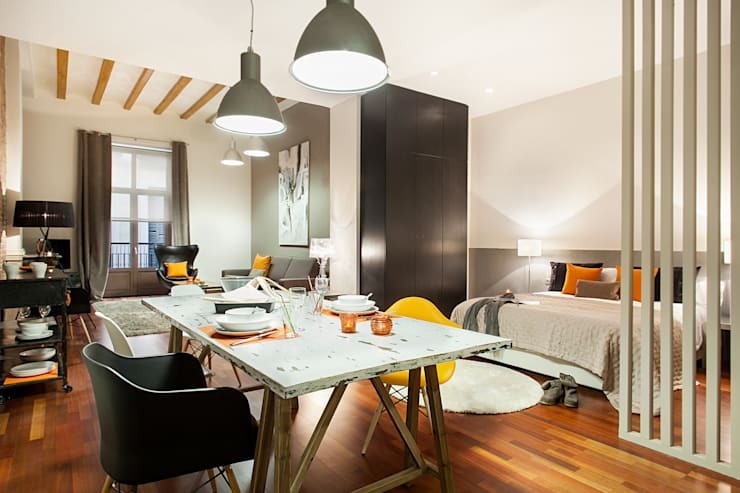 Consider how you might orientate the furniture within your home to create a sense of separation. This little bedroom is utterly separated from the rest of the room, simply because the occupants face the opposite wall when lying in bed. 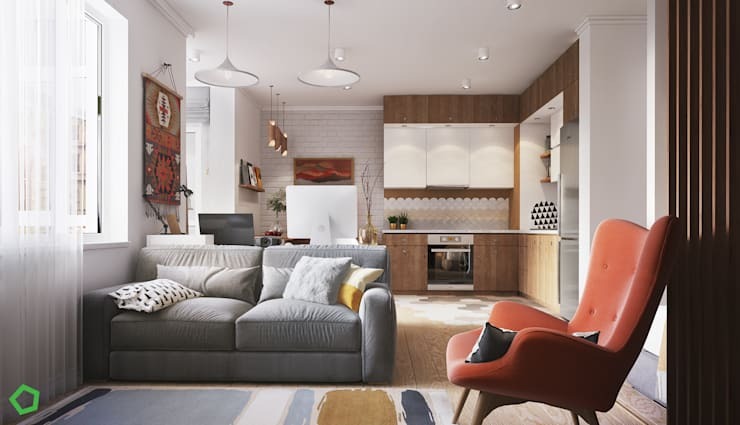 For more home design inspiration, check out: 7 incredible open plan layouts to copy. Do you have any other space-saving tips for our readers? Tell us!